Wow this pattern has been a while in the making. Ive been trying to work up sets lately, because matching sets are just so sweet. 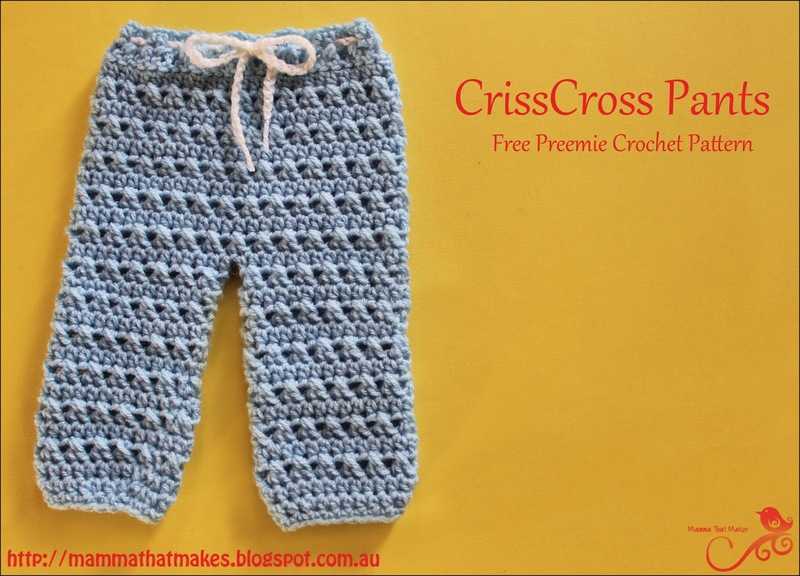 These sweet little pants feature alternating rows of cross stitches and hdc's. The repeat is so easy to remember, and the stitch, even though looks a little hard, is super simple to do. This set will fit around 34/36 weeks gestation. Its a little large on my 32 week doll, but if you went to a 3.5mm you should get close to something that will fit 32 weeks better. dk weight yarn (8ply, light worsted, number 3 weight yarn) in a main colour, and a contrasting colour. 2. ch2, *skip one stitch, dc in the next stitch, dc in the skipped stitch* repeat around, join. 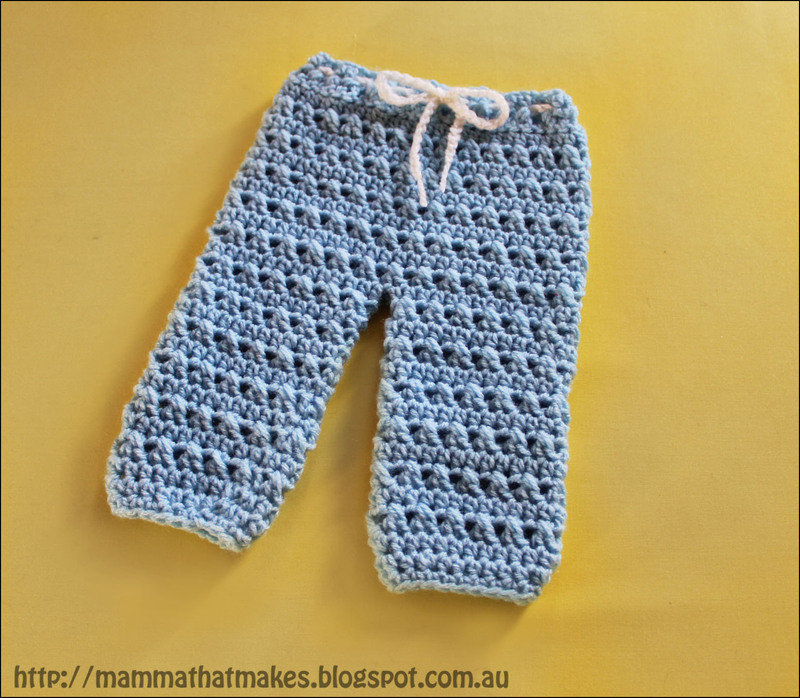 3. ch1, hdc in each stitch around, join. 14. ch1, *skip one stitch, dc in the next stitch, dc in the skipped stitch*, repeat around, skip the last stitch and join. 16. ch2, *skip one stitch, dc in the next stitch, dc in the skipped stitch*, repeat around, join. 17-24. Repeat rounds 15 and 16. 27. ch1, sc in each stitch around, join. Repeat rounds 13-27 to make the second leg. End off here and weave in all ends. 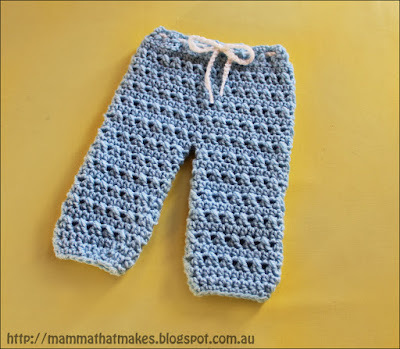 You may have a small gap at the crotch area, go ahead and sew that closed. To make the tie, chain 100. Weave in and out of the stitches from the first round. How much would it take to add to this pattern to make them 3-6 months?